Blizzard had to make some cuts when World of Warcraft exploded, and unfortunately, StarCraft: Ghost was one of them. Blizzard boss Mike Morhaime has revealed the real reason that StarCraft: Ghost, the action/stealth spinoff to the studio's smash hit RTS series, was indefinitely postponed in 2006. The truth of the matter is that the game was shelved because Blizzard had its hands full with other titles. Morhaime said that Blizzard was keenly aware that it couldn't hope to do everything, and so sometimes it had to make hard choices. Ghost was in production at the same time as World of Warcraft and StarCraft 2. When WoW proved to be an amazing hit, Morhaime said that Blizzard had to make a decision about how it was going to allocate resources. In that environment, Morhaime said, Ghost simply couldn't have succeeded. 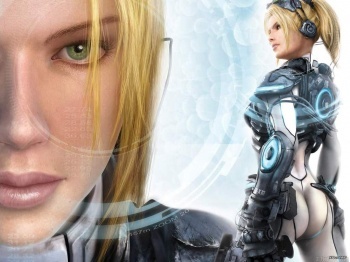 StarCraft: Ghost would have had players assume the role of Nova, the "ghost" of the title. Nova was a highly trained espionage agent, with psychic abilities that helped her in her missions. Much like another well-known piece of vaporware, Duke Nukem Forever - that is, before those pesky kids at Gearbox went ahead and actually finished it - Ghost went through multiple engines, platforms, and hardware generations; it even changed developer at one point. It's not clear whether Blizzard plans to resume work on Ghost at any point in the future, although considering the amount of time Blizzard spends on its games, it could be working on it right now and we still wouldn't see it for another five years.